Industrial Ethernet is now a well-established term that describes the use of Ethernet based components with high reliability in rough environments. The continuously growing number of applications and IP-capable devices leads to a drastic increase in the data throughput and higher demands made on reliability and flexibility. 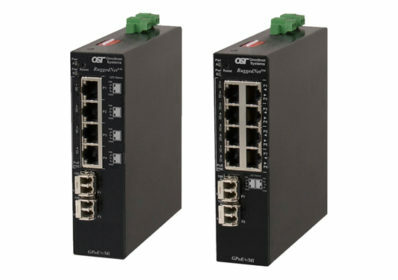 In this context, Industrial fo Switches are the decisive nodes which connect automation technology and IP networks reliably and with the highest possible availability with each other. 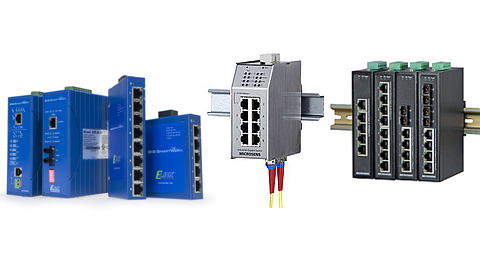 We offer Industrial Fiber Optic switches with wide range of configurations and features for deployment in industrial environments with high reliability and flexibility. They are used for connecting multiple IP equipment such as CCTV cameras, wireless access points, IP phones, computers, access control devices, monitoring equipment and much more.